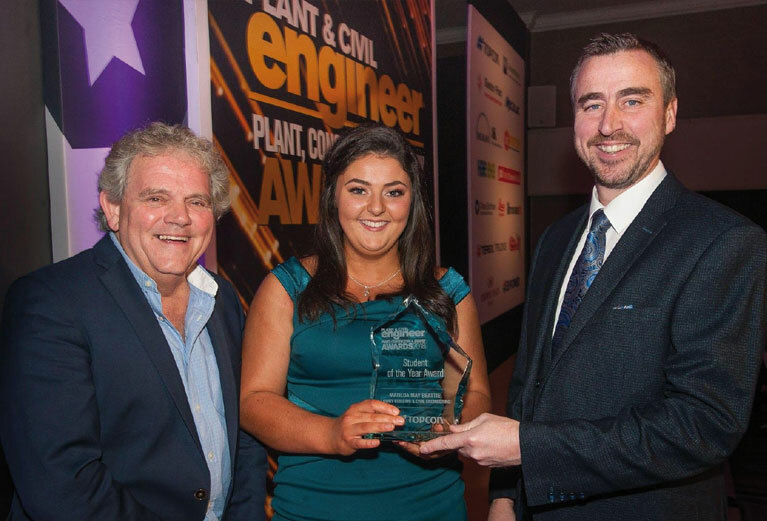 South West College civil engineering student Matilda May Beattie has received a top accolade at the 2018 Plant & Civil Engineer magazine Awards. She was presented with the prestigious ‘Student of the Year’ award, during a glittering ceremony, compered by television and radio sports presenter Adrian Logan, at the Crowne Plaza Hotel in South Belfast. The exceptionally committed student was selected by Lowry Building and Civil Engineering Ltd to undertake her work placement, and during her time with the company she worked on the £6.5m NIFRS Logistics Support Centre project on Boucher Road, Belfast, meaning a 5:00am start Monday to Friday and making a 180-mile round trip each day. She became one of the team immediately, learning and absorbing experience from Director to Operative level, from setting out the building to supporting the Site Manager with essential paperwork. After being on Boucher Road for a few months, Matilda then relocated to the Altnagelvin Hospital site in Londonderry where she was tasked with inducting operatives and visitors and ensuring all strict infection control procedures were followed including the use of infection control overshoes, control mats placed at each entrance, weekly meetings with the hospital staff coordinating both construction and clinical schedules to ensure no conflict. Lowry Building & Civil Engineering featured prominently at the 2018 Plant & Civil Engineer magazine’s annual awards which recognise the very best in the plant, construction and quarry sectors. 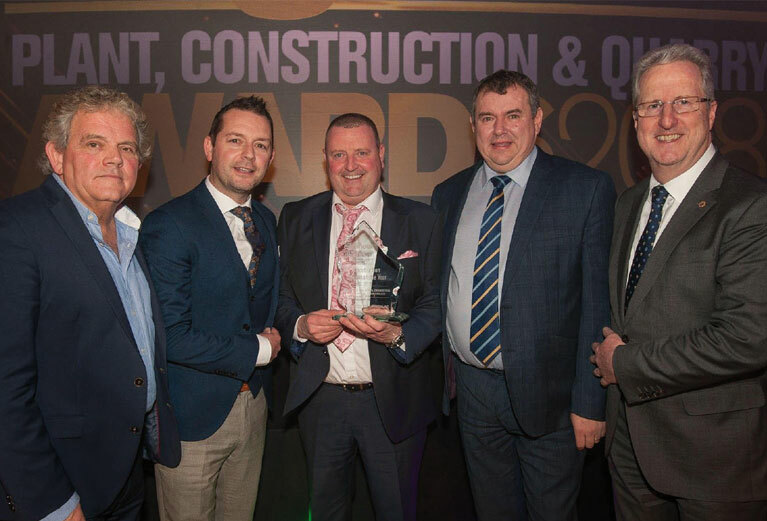 The company was presented with the ‘Construction Project of the Year’ award during a glittering ceremony, compered by television and radio sports presenter Adrian Logan, at the Crowne Plaza Hotel in South Belfast. The winning project involved the construction of two highly specified surgical theatres at Altnagelvin Hospital in Londonderry. All works were completed in a ‘live’ hospital environment bounded by operational wards and busy clinics and the high-risk, confined site location caused restricted staff access and required strict infection control procedures to be implemented and monitored over the entire contract duration. With several interface points in the 24/7/365 facility, the Lowry Site Manager and Public Liaison Officer performed exceptionally in managing public impact by maintaining safety and continuously keeping all parties informed of progress with frequent updates. Regular meetings were held with all departments surrounding the site, providing a platform for discussion and input into the planning of works, essential in ensuring all clinics and appointments could proceed safely and works could progress to meet programme restraints.